The wonderful coastal town of Bournemouth is situated in the southern part of the UK, in Dorset. It is an extremely popular tourist destination of the country. Besides the beaches, there are other fantastic visitor attractions in the town. The surrounding area is also very attractive. If you would like to find out which are the best attractions in and around Bournemouth, I suggest you to read the following guide. Below I will present you the best places to visit in and around the town. From national parks to castles, from wonderful beaches to churches, Bournemouth and its surrounding area have it all! If you would like to make an unforgettable experience, do not miss this area! The wonderful national park of the area, the New Forest National Park is an astonishing natural jewel of the area. It is considered the newest national park of England. There are numerous towns and villages on the grounds of the park. Visitors can admire ponies walking freely in the park or make great walks in the beautiful forests. 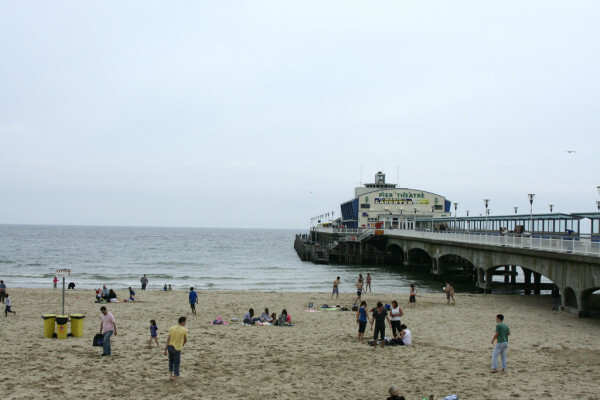 As one of the most fantastic and most representative landmarks of the town, Bournemouth Pier is extremely popular among visitors. It is also considered one of the United Kingdom’s most famous piers. About 500.000 tourists visit this landmark every day. It includes an Amusements Arcade, several shops, restaurants and cafes. If you are traveling with your children, you can not miss this attraction. Kids will surely love it! Do you love historic attractions? 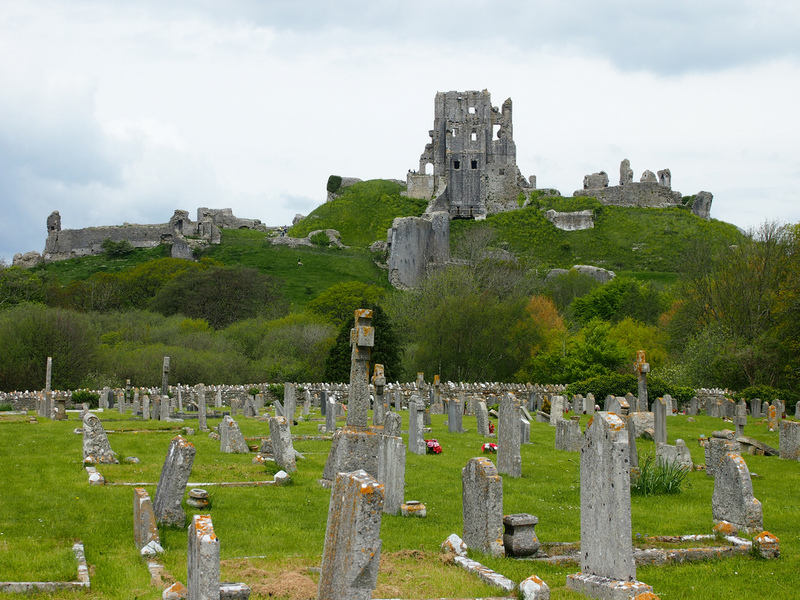 The ruined castle of Corfe is considered one of the country’s most beautiful castle ruins. It is extremely popular among visitors. The castle used to serve as a royal palace. There is a shop adjacent the castle, in the village square, where visitors can purchase hand-made gifts and souvenirs. The village is also worth visiting. It is home to a fantastic historic parish church. There are also several events held at the castle which attract dozens of visitors. Such events are the English Civil War Garrison and the Medieval Village with Knights, among others. If you would like to travel on a steam train, you can do it if you visit the surrounding area of Bournemouth. 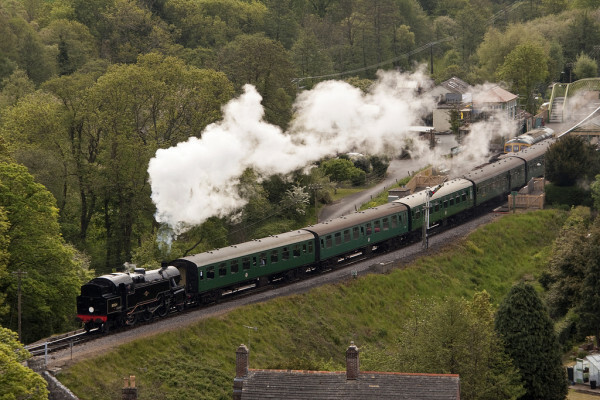 The ride actually takes 30 minutes and it takes you along astonishing natural jewels, along the Purbeck countryside and visitors can also admire the Corfe Castle. There are several stations along the journey: at Corfe Castle, Norden, Herston, Harmons Cross and Swanage. Visitors have access to wonderful historic villages and the chance to visit the Jurassic Coast World Heritage Site.